OMG! Fortune FREE Slots, developed byLuckyFish Games, is an Android App that will appeal to your gambling side where you get the opportunity to play all your favourite casino games from the comfort of your sofa. All the big games are included with OMG! Fortune FREE Slots, including slot machines, scratch cards, bingo, and of course wheel of fortune, as well as tons more. 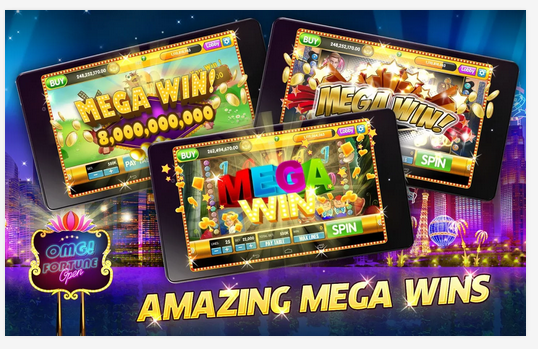 In fact, there’s over 25 different games for you to explore and earn in, including a new casino game every week, as well as free gifts and hourly bonuses to help you on your way to becoming a millionaire. WILD features such as expanding wild, exploding sticky wild, random wild and more! Introducing original fortune games such as incredible combinations of fortune wheels and scratch cards, color matching with exciting wilds, bonus and scatter features and mega fun bingo games! All games include an easy and intuitive user interface with auto play, fast play and a fun slide-to-spin feature that will guarantee hours of fun! OMG! Fortune FREE Slots app does follow the usual busy user interface we are used to seeing with casino apps on devices, but what sets them apart is the fact they use big icons and text to highlight easily what is of interest to you on the screen. The app encourages you to have fun and not spend time wondering what you have to press to get started. The app is incredibly fun with a social aspect integrated under the hood so you can enjoy the experience with your friends. OMG! Fortune FREE Slots is free on the Google Play Store, and it is definitely worth a shot – you never know, you could win big.